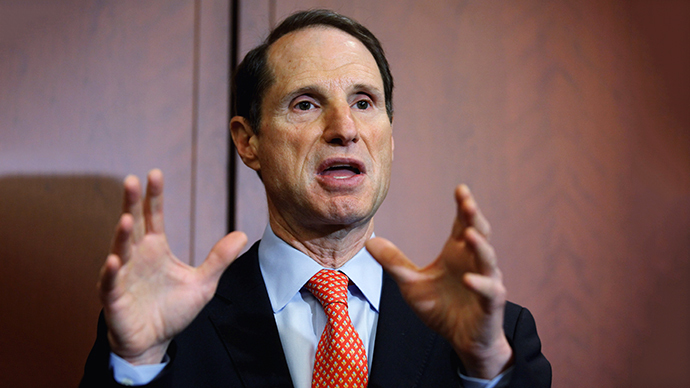 Only hours after United States Senator Dianne Feinstein (D-California) lashed out at the Central Intelligence Agency for allegedly spying on congressional committee members, former government contractor Edward Snowden accused her of hypocrisy. 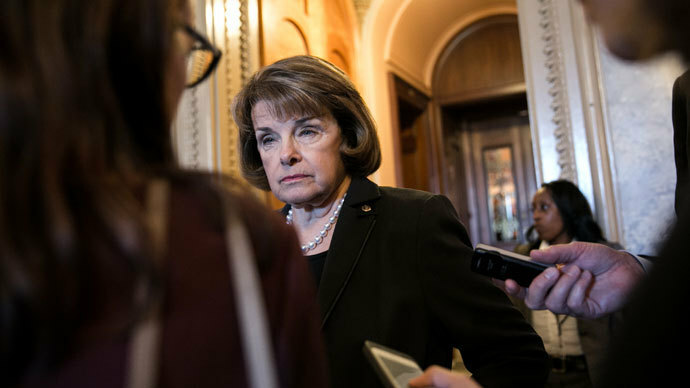 Sen. Feinstein — the chair of the Senate Intelligence Committee — made headlines early Tuesday morning by calling out the CIA on the floor of Congress. 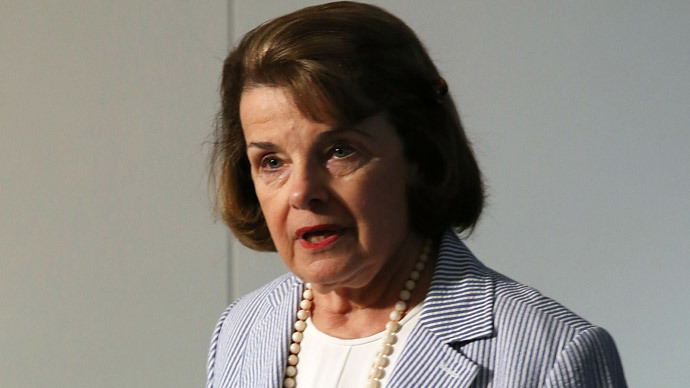 Committee member staffers were unknowingly monitored by the CIA while investigating the agency’s use of enhanced interrogation techniques, Feinstein said, potentially violating the Fourth Amendment to the US Constitution and a presidential order barring the CIA from domestic spying. By early afternoon, NBC News had acquired a statement authored by Mr. Snowden, a former National Security Agency contractor who has been accused of espionage for disclosing sensitive documents pertaining to US government’s vast surveillance operations. 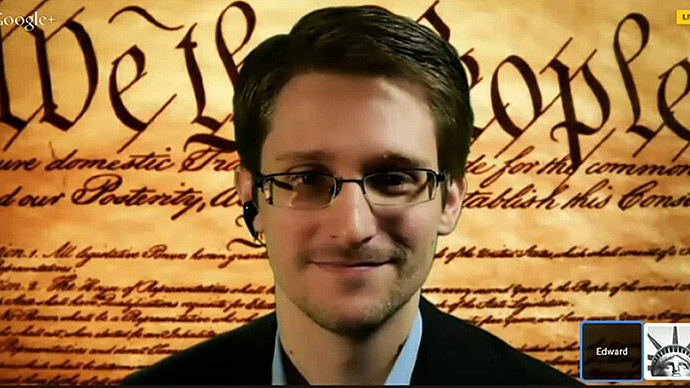 “It's clear the CIA was trying to play 'keep away' with documents relevant to an investigation by their overseers in Congress, and that's a serious constitutional concern,” Snowden told NBC News. “But it's equally if not more concerning that we're seeing another 'Merkel Effect,' where an elected official does not care at all that the rights of millions of ordinary citizens are violated by our spies, but suddenly it's a scandal when a politician finds out the same thing happens to them." 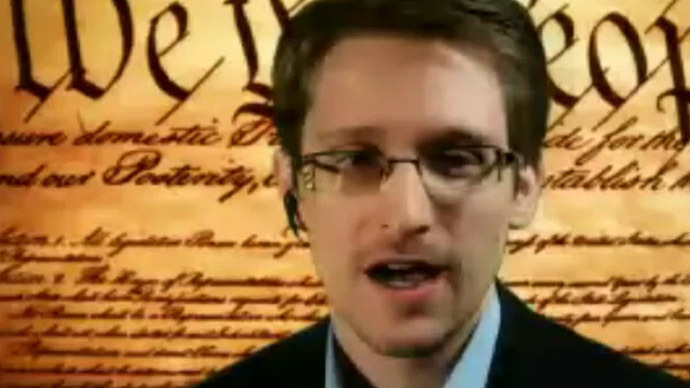 NBC News investigative journalist Matthew Cole was the first to report on the statement, and related Snowden’s remark as being in reference to Angela Merkel — the German chancellor who erupted with outrage last year after finding out that she was apparently targeted by the NSA’s intelligence gathering operations. Merkel’s complaints last year — and the apologetic response it provoked from the White House — came in the aftermath of reports based off of NSA documents leaked by Snowden in which the US spy agency was shown to be committing widespread, indiscriminate surveillance against millions of innocent civilians around the world. 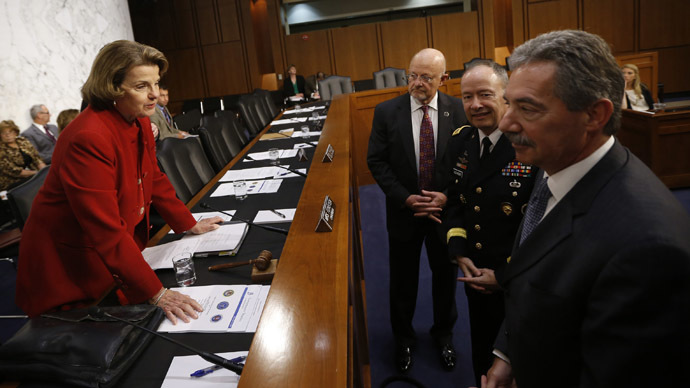 Feinstein defended the NSA’s domestic snooping last year, calling it a necessary counterterrorism tool with the potential to thwart attacks on American soil. Speaking to RT America on Tuesday afternoon, former-Minnesota Governor Jesse Ventura said he was offended that his tax dollars are being used to conduct domestic spying against himself and other Americans. “I would rather have my political leaders put under surveillance so I can know what they’re doing,” Ventura told RT, adding later in the interview that he’d “Restore the Constitution and the Bill of Rights” to stop the spy programs if he had the power. Snowden’s statement came only a day after he held a rare question-and-answer session at the SXSW Interactive tech conference in Austin, Texas, where he similarly said that he believes “the Constitution was being violated on a massive scale”by the NSA.